Despite economic and political progress in Côte d’Ivoire, a number of health challenges persist and high quality family planning products and services remain inaccessible for many. Expanding the role of the private health sector can help address these issues, but data and information about this sector are limited. 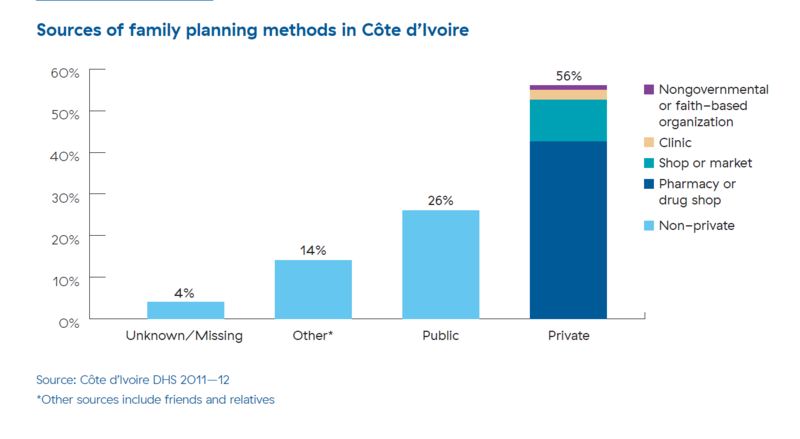 The SHOPS Plus project, in collaboration with USAID/Côte d’Ivoire, conducted an assessment of the family planning market and provided targeted recommendations to empower stakeholders to sustainably engage the private sector and help Côte d’Ivoire achieve its Family Planning 2020 targets. This brief highlights key findings and recommendations from the full assessment report.